Planning and realisation of a wooden crucifix for Saint Nicholas of Bari Catholic church located in Orsogna. This piece of art was inspired by a model the priest Don Giuseppe Liberatoscioli was particularly devoted to. It was realised in memory of Vittorio Colanero, who has recently passed away. 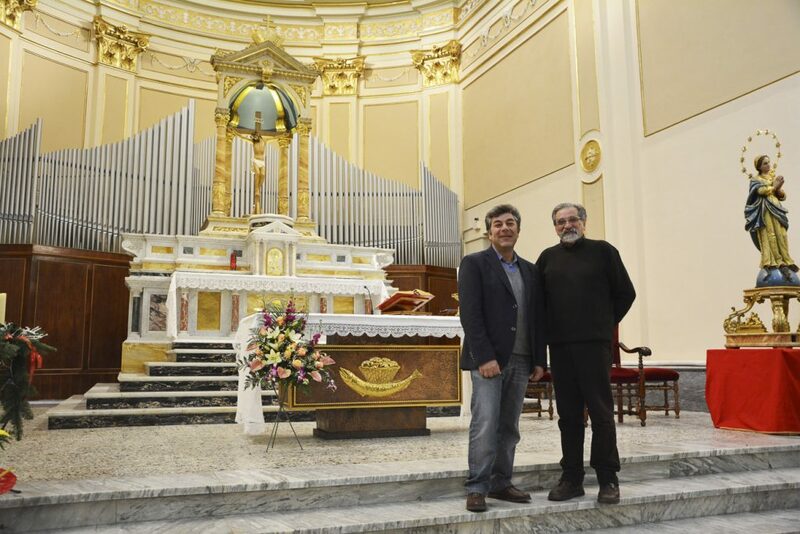 Colanero was the administrator of local Italian Caritas charity organization. As usual, team work has proved to be successful as several professionals were involved throughout the process: Simone Carullo did the scanning, Simone Rasetti was asked to realise organic modelling, Rodolfo Valentini worked on wrought iron objects and sacral items such as crown of thorns and nails. Finally, Angelo Catano joined the team and showcased the artwork through his skilful use of colour.